Year: 1958 Item #: 1038 Views: 5,014 Comments: No Comments. Image scaled down from 859px to 740px wide. Click the image to view the original. 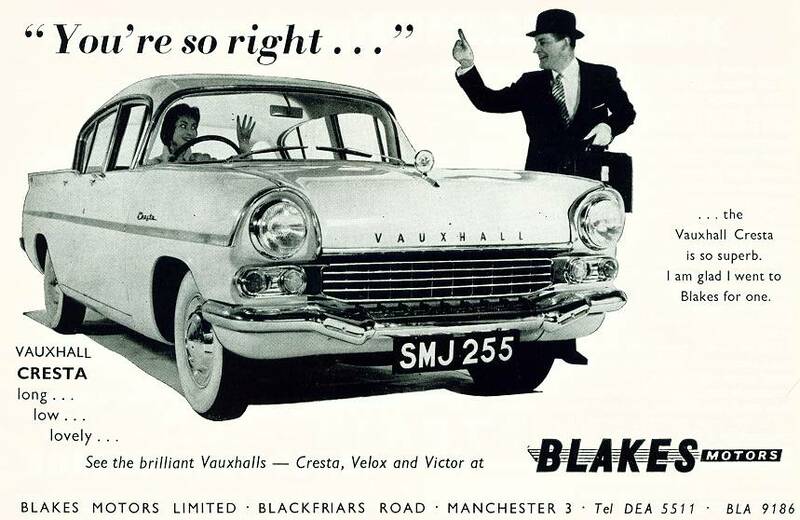 "You're so right..." ...the Vauxhall Cresta is so superb. I am glad I went to Blakes for one. Vauxhall Cresta long... low... lovely... See the brilliant Vauxhall - Cresta, Velox and Victor at Blakes Motors.